This is a new one. Taj Gibson used his trainer to try to block a shot on Monday. The Minnesota Timberwolves big man looked to make the best of a bad situation in the 132-105 win over the Sacramento Kings when his trainer fell off in the first quarter of the game. 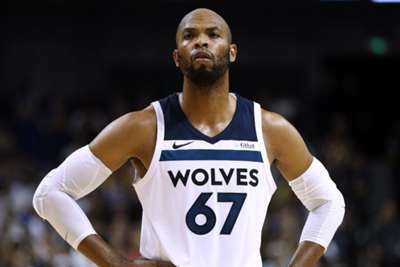 Rather than stopping to put it back on, Gibson chased after Kings forward Nemanja Bjelica and used the trainer to try to stop a layup, which was ultimately blocked by team-mate Karl-Anthony Towns. Gibson was not punished for his bizarre attempted intervention either, having failed to make any contact with the ball. It was not for the want of trying.